Don't say we didn't warn you: after you wear these, the Bogner Franzi Pant will probably become your new go-to ski pant on any mountain expedition. Powerful 80g insulation keeps your legs warm and limber, even in chilly conditions, and the four-way stretch fabric moves with you through every turn. In addition to 20K waterproofing and 20K breathability ratings, there's a fleece-lined waistband for additional comfort. 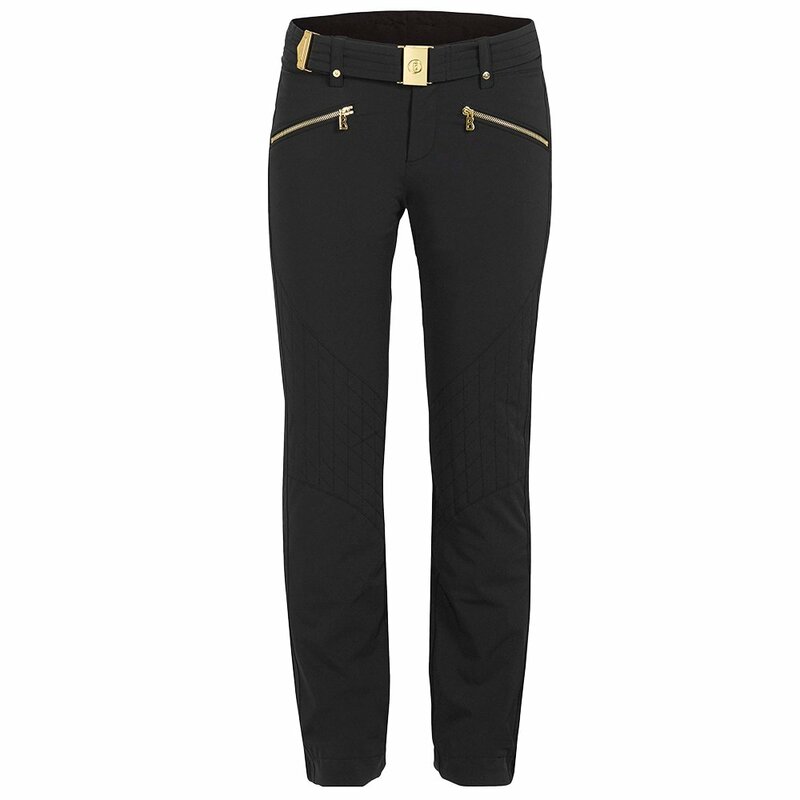 The Franzi Pant has subtle cross-stitching across the knees for a minimalist, modern look. I am just under 5' tall; thus, the regular was too long in the crotch for me. Otherwise, the pant is a beautiful ski pant and should be warm. A regular height person should like these ski pants. Great pants . Perfect for layers!